Are you in the market to purchase a home in Austin or the surrounding areas? If so, you can find excellent deals by staying off the MLS and working with local investors directly. Learn more about what to look for and how to find the right properties in our latest post! When you want to buy a house in Austin, one often unexplored method is to purchase directly from a local investor. Some of the best deals are found this way. Investors are typically able to find the best deals around, and you can too by utilizing an investors experience. Whether you already run a robust portfolio, are making your investment, or have never purchased a property before, working with an experienced, honest, and successful Austin investor, you’ll be able to find deals that others will never know about. When working with a local investor, it is important to know what you are after. Before looking at investment properties in the Austin area, determine how much you can pay and the neighborhood you wish to buy in. Know which type of property you want to buy as well as the number of bedrooms, etc. Knowing what you are looking for will help the investor determine exactly what properties will be right for you. On the flip side, it can also be beneficial to take a look at the investors current inventory of available properties. They might have found a property you never would have considered in a location you hadn’t looked in. If the returns are there, it is definitely worth exploring. Just make sure you don’t get in over your head with a property you are unable to successfully manage. A good investor will make their money by using streamlined processes, not by using cheap materials or poor craftsmanship. Some investors will make shotty repairs in an effort to save money. Before you buy, inspect the house to make sure it has been repaired properly. 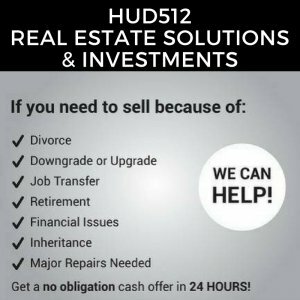 At HUD512, we take tremendous pride in the work we do when fixing up homes. Only the best materials and local contractors are used for the process. Another option many Austin investment buyers utilize when working with another Austin investor to buy a house, is to simply let them know what they are looking for. Investors will work hard to find a property that meets your specifications, which means less leg-work for you in the long-run. Of course, you will always want to do your own homework, but by working with an investor who is looking for the same information as you, the answers you need will be readily available without too much digging. We would love to help you find the property you have been looking for! 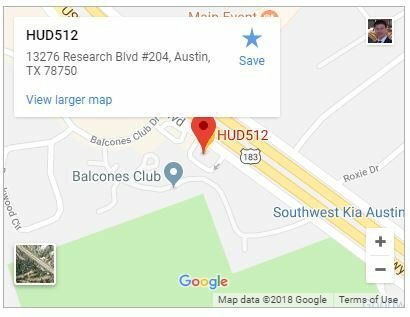 Using our advanced negotiation tactics, HUD512 is able to create some of the best opportunities for other local Austin investors.